Curacao has beautiful underwater sceneries close to shore. 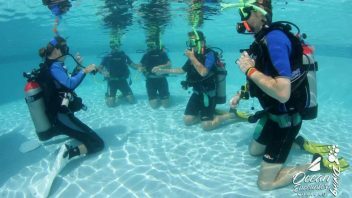 We offer different Shore Diving Activities which allow you to just walk in and dive! Guests who are planning to dive from shore around the island can easily access our facility at Lions Dive to pick up and drop of tanks. 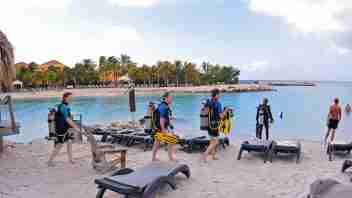 Or you can shore dive in Animal Encounters to dive in a secluded environment with amazing marine life.